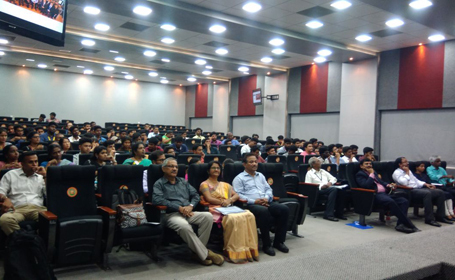 “Architectural Aerodynamics & Wind Engineering” workshop organized by Dept. 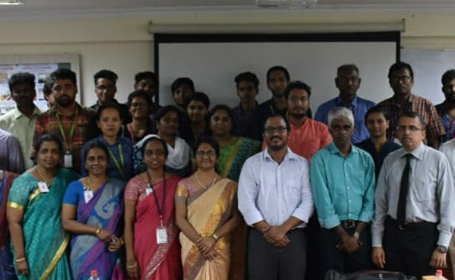 of Civil Engineering in association with Institution of Engineers, (India) and RWDI Chennai on 11 July 2018 was attended by industrial experts from CPWD, Eversendai Construction and Sakthi Consultancy, academicians, and students from reputed institutions. Er. R. Ramdoss MIE Hon. 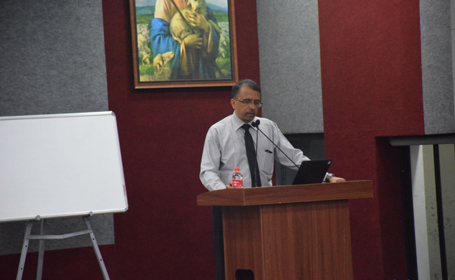 Secretary, Institution of Engineers, highlighted the importance of Architectural Aerodynamics and importance of civil engineers and architects. 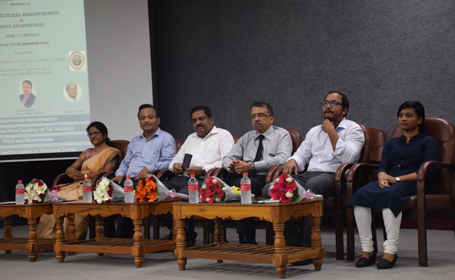 The Technical sessions on “Cyclones and its Impact on Structural Design”, “Role of Climate Factors on Designing and Constructing Buildings”, and “Architectural Aerodynamics” were handled by Dr. Suresh Kumar, Principal-Regional Manager, RWDI, Ms. Anjali Krishnan, Consulting Engineer, RWDI, and Mr. Rahul P.S, Senior Scientist, RWDI respectively. 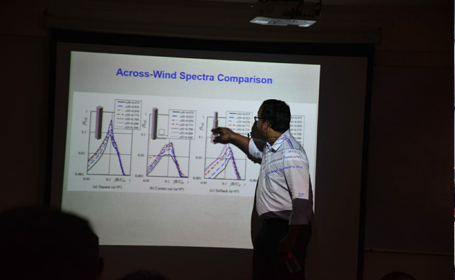 Dr. Suresh Kumar also gave Insights into Wind Loading on Tall Buildings using IS875 (Part 3): 2015 and had an interactive session on its research gaps.